Australia is one of the most incredible places in the world. From the captivating landscapes of the Outback to the scenic cities of Sydney and Melbourne, there is much to see, do, and explore around this beautiful continent. And yet here's the problem. Australia is absolutely huge, and despite our tips on hassle-free travel around the country, it's impossible to get the full experience, unless you intend to do what so many people do, and that's actually migrate to the country, rather than opt for a short stay in your vacation time. Still, this is where we come in. If you are only visiting Australia for a short period, here are some tips on making the most of your time down under. Melbourne’s St Kilda. Image by Annie Spratt. When visiting Australia, you need to consider the place that holds the most interest to you. You are never going to see everything on a short vacation, so sacrifices will have to be made. Consider your itinerary of the things you want to see and do, and then book a stay in the place that holds the most interest to you. Whether you stay in the most unique hotel in Melbourne City, or rough it in the wilds of the Outback, begin your adventure somewhere you would consider 'unmissable.' This way, if you do run out of time, you will have experienced much of what you came to Australia for in the first place. Cricket match. Image by Marcus Wallis. Hosier Lane, Melbourne. Image by Linda Xu. You've heard the saying, 'When in Rome…' right? Well, transfer that to your time Down Under and do what the Aussies would do. You see, part of visiting any country is becoming immersed in a different way of life. So, you might want to explore some of Australia's smaller towns, visiting local pubs and bars. Join in with local beach barbecues. Learn how to surf. Shop at popular marketplaces, including Queen Victoria Market, a shopping staple in Melbourne. 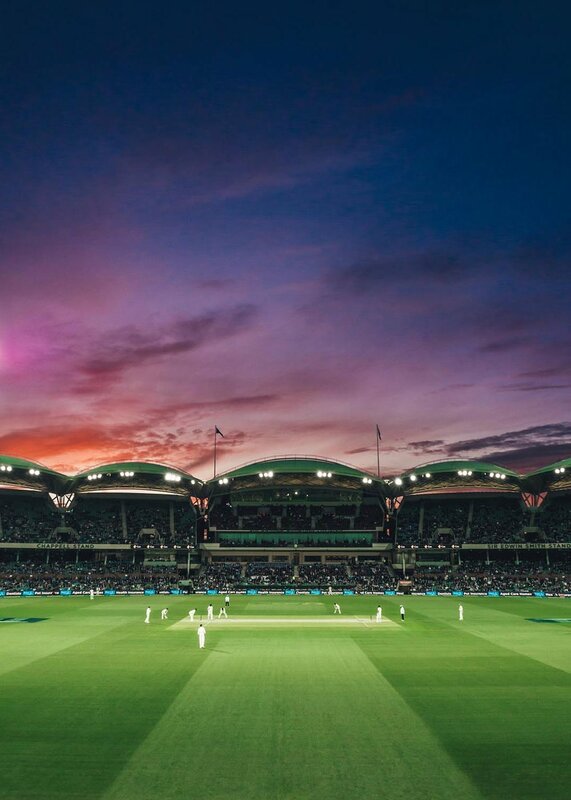 Go and see a cricket match, one of the more popular sports in Australia. And if you aren't planning on exploring the Outback on your own, you might still consider taking a tour, as this will give you an insight into Australia's Aboriginal culture, away from the hustle and bustle of city life. Ayers Rock or Uluru is sacred to to indigenous Australians. Image by Jason H.
While we would encourage you to explore off the beaten track, you don't want to miss out on some of the more popular tourist spots in Australia. From iconic places to visit, such as the Sydney Opera House and the Harbour Bridge, to some of the renowned places of natural beauty, including the Great Barrier Reef, Shark Bay, and the Pink Lakes, you owe it to yourself to visit some of Australia's greatest to your bucket list during your time here. Considering the expanse of Australia, and the myriad of places to visit, it is impossible to cover every highlight. Thankfully, there is an extensive list of things to do here, with something for every taste. So, pick off those things that interest you, and add them to your itinerary. Whether that's spending time with koalas or kangaroos, or learning how to play the didgeridoo, find those things that are quintessentially Australian to help you make the most of your time in this fabulous country. G'day and thanks for reading! Header image by Eugenie Lai.